Screen activity is something people normally record to teach other people how to get around stuff. These tutorials are generally found on YouTube. They range from software usage, download tutorials, etc. These are recorded with the help of various software available all over the internet. Most of them are up for free download and install. Some software only supports video, while some are audio based. Software supporting both are very hard to find. Software supporting Skype video call recording are the one that support simultaneous audio and video recording. These software also have an option to omit either audio or video and just record the other. The versatility of these software makes them very popular. Audio and video recording software applications from Movavi can prove beneficial. In fact, it comes up with an incredible multi-media suite encompassing software programs for screen capture recorder, video editing, video editing, video conversion, disc burning and lots more. It is equipped with an advanced setting but the user interface is very simple. An initial Web search would reveal the links which have the embedded files available for download. Selecting a safe and reputed site is recommended to avoid malware and spyware problems. The next step is to download the installation file onto the computer’s hard disk. After the download is complete a click is all that is needed to install the program onto the hard drive and operating system. The express install fast forwards the installation process and selects the default options. The users may also chose custom installations and select their own preferences. Once the software is installed the software needs to be opened. After that the calibrations need to be set for optimum performance and output. The setting for the audio devices needs to be dealt with very carefully. The devices set for the system need to match the devices set for the third party software. This will synchronize the devices and make recording possible. The next step is to select a recording area and then select what to record. 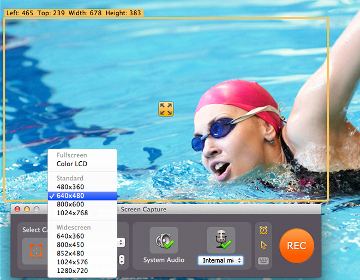 The user has an option of recording either audio or video or both simultaneously. These functions can be accessed from the master control panel located below the recording area and marked with a microphone and speaker. Most users get confused here thinking both are the same. The microphone icon implies the recording of the sounds from outside the PC and the speaker implies the sounds created by the PC within itself like the error sounds and other things. The user may select both the options. Video can also be recorded simultaneously. The next step is obviously the save screen where the users must select a preferred preset which determines the file format and size. The tutorials including video and dual audio cannot do without these software and it is the same for the people recording gameplay videos with commentary. The video and audio files can be saved in any location and be used for uploads or burning.